Home > Spray Foam Equipment > What Spray Foam Equipment Brands Can I Trust? What Spray Foam Equipment Brands Can I Trust? When it comes to using Spray Polyurethane Foam (SPF) insulation, it is essential that your spray foam equipment match the task at hand. At Intech Equipment and Supply, our customers have the opportunity to build their own spray foam equipment package. Or, if that is not your style, then we can work with you to help you select equipment developed by trusted manufacturers in the SPF industry, including Graco, Polyurethane Machinery Corporation (PMC), and International Pump Manufacturer (IPM). We know that picking the right equipment can be overwhelming which is why we have compiled a list below of the best equipment we offer. Before reading on, it is important to understand that our team of experts never forces any particular product onto customers, but rather we act as professional consultants to ensure you have all of the details you need to make an informed decision. Each of the following major manufacturers constructs excellent, reliable products, and they all provide dependable warranties. Ultimately, your decision boils down to your specific business application needs, such as machine output and pressure, heating capability, and hose length. One of the most well recognized and trusted brands in the industry, Graco offers a diverse range of spray guns, rigs, hoses, parts, and accessories, for foam spray and coatings. The manufacturer’s impressive line of equipment is incredibly user-friendly and lends itself to a variety of mix-and-match combinations that delivers dependable solutions. Intech Equipment & Supply has been a “Graco Top 20 Distributor” since 2010, and our customer service experts have developed rock-solid relationships with the professionals at Graco. Our team members also have a strong Graco product knowledge base and lots of troubleshooting experience. PMC is a leading manufacturer of coating equipment. The company’s line-up includes spray guns, spray foam machines, and rigs. The popular manufacturer has been developing high-quality products for the foam spray industry for more than 50 years. PMC dedicates time to constructing its high-quality equipment based on customer insights and feedback they continuously gather from real-world contractors and other industry professionals. 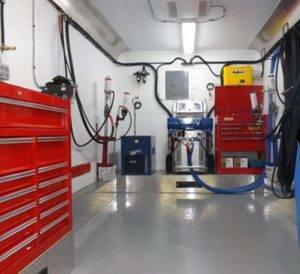 The company engineers a complete product line for spray foam spray systems, including proportioning units, a heated hose system, spray guns, transfer pumps, as well as auxiliary equipment. At Intech Equipment and Supply, we carry a full-line of PMC for high pressure and low-pressure job needs. International Pump Manufacturing Inc., or IPM Pumps as it has become known in the industry, has established a solid reputation in the SPF space over the years thanks to its tried-and-true equipment. Based in Seattle, IPM has been a step above in an industry where pump failure can lead to costly delays and certain disaster. A group of quality engineers that together hold the understanding that reliability, durability, and consistency of operation are of the utmost importance, designs IPM Pumps. For more than 20 years, IPM Pumps offers a wide range of pumps to best meet any SPF contractor’s needs, including air piston-operated pumps specifically designed for use in spray foam applications. What Other Equipment Do I Need in My Toolbox? For every spray foam application, you need the right tools to make a project successful. Whether the job takes place inside or outside or whether the project’s focus is residential or commercial, there are numerous tools required to get the job done right. Check out a recent blog post we published, “What’s In Your Toolbox?” to learn more about what today’s busy SPF insulation contractors should always have on hand at job sites. At Intech Equipment & Supply, we strive to maintain an expansive inventory of rigs, pumps, transfer pumps, spray guns, spare parts, extra guns, and more to ensure you always have what you need, when you need it most. If you are searching for deals on Graco spray foam packages, PMC spray foam packages, or IPM Transfer Pumps, call the sales team at Intech Equipment & Supply or browse our online store. With locations across the U.S., we are available when you need us most. Contact us today!